We believe that each rug we sell is a work of art. Through the materials used, the colours employed and the motifs within, each tells a unique story of the environment, lifestyle and community that produced it. 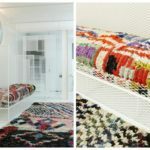 Taking just one rug in our collection as an example – a rug woven by Berber women in Morocco – Emily’s House London founder Katrien explains some of the factors which make Berber rugs so unique and special, from the mix of tradition and creative freedom that weaving allows, to the communal aspect of their creation. 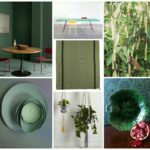 This feature is an edited version of a speech given by Katrien at 19 Greek Street’s L’Apartment du Progress exhibition.